The cut-throat thriller is more fun than most riddle-solving lock-ins currently springing up. Thankfully short on gore (very unlike a horror film! ), the story aims at those who prefer the thrill of impending death to seeing the actual event. Though the climax has an awfully familiar flavour, this fright-flick's inevitable promise to return doesn't inspire groans. The current craze for escape rooms where groups have to solve puzzles to be released, was bound to inspire a horror film sooner or later. But Escape Room is more than just a cheap teens-in-peril thriller. Six strangers – shy physics student (Taylor Russell), shelf-stacking slacker (Logan Miller), escape room addict (Nik Dodani), long-distance trucker (Tyler Labine), smarmy stockbroker (Jay Ellis) and Iraq war vet (Deborah Ann Woll) – receive mysterious invitations to an exclusive escape room. Of course the participants, complete strangers, are totally unaware of something else they have in common. Initially the danger of the traps seems to be part of the experience, but eventually the players realise they’ll be lucky to escape with their lives. Only after the game starts do the stunned contenders realise how lethally dangerous, impossible to quit mid-game it is. Fascinatingly, every clue is tailored to traumas in everyone’s past. This makes the game-master’s creepy sadistic personality emerge. As they stagger from one room to the next, there is grisly Alice in Wonderland surrealism in each setting-a dull reception area, a log cabin, a bar and even a vast wintry outdoor scene. Robitel allows the audience to ponder how exactly these rooms are supposed to fit together. The director of 2014’s underrated supernatural horror ‘The Taking of Deborah Logan’, Robitel gets the blood pumping right from the off, trapping the audience in a room with one of the contestants as the walls close in, splintering furniture and shredding nerves with equal gusto. This scene acts as something of a spoiler for what follows, as we start guessing who makes it and who doesn’t. The screenplay stays one step ahead. While the audience can’t participate in the physical puzzles that are staged as an elaborate and impressive set piece , they can still try to figure out what’s going on behind the screams. 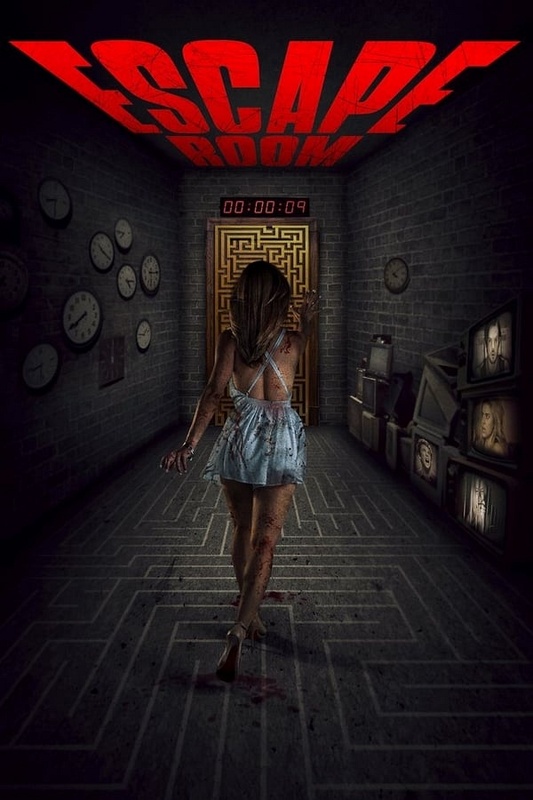 As a stand-alone movie, it’s an effective extrapolation of the escape room principle, and a welcome reprieve to the small subgenre of horror films.